A few months ago, I purged my makeup collection. Into the garbage went several old eyeshadows that I never really wore, old lipsticks I ended up hating the color of, and other various items that I never used, for one reason or another. After ditching the disorganized container I was keeping my makeup in, I upgraded my organization system by purchasing a few clear acrylic organizers. I love that I can easily see all my makeup but I can close the drawer and its out of view when I’m done doing my makeup. I even got my sister to join me and we got her all organized too, which was fun because she works at Ulta and has an impressive makeup collection. We had way more fun than a person should have organizing makeup. Sister bonding time, y’all. As you can see, I have both cheaper, drug store varieties of makeup and higher end. I’m slowly sneaking more and more higher end brands into my collection. So any recommendations would be appreciated! What are your makeup must haves? P.S. The white you see underneath the organizers is just anti-slip drawer liner. The owners of our rental put it EVERYWHERE. Thank goodness our house is just a couple months from being done! 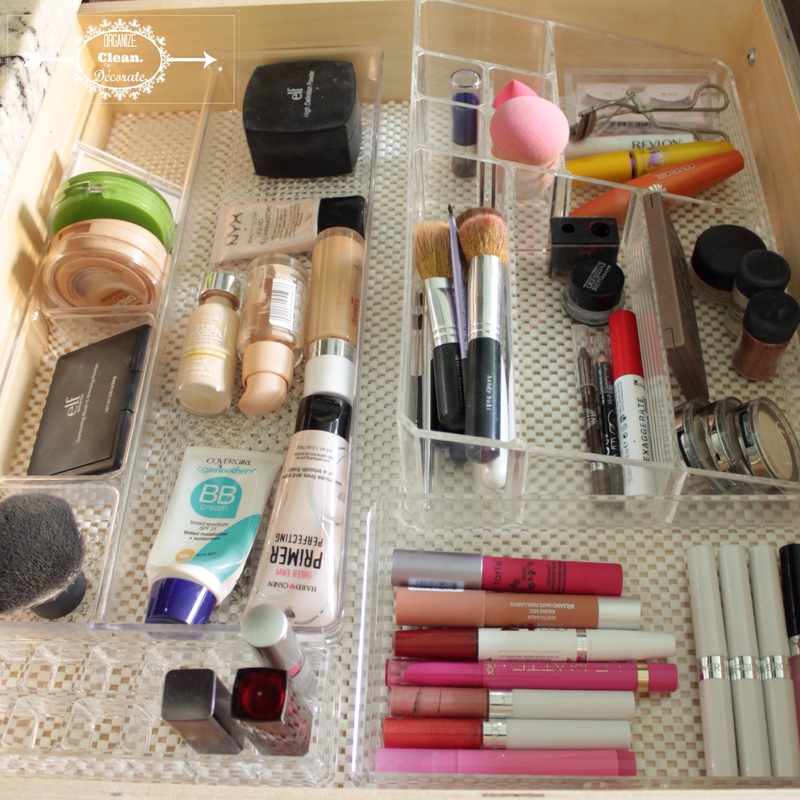 Great post, I really need to get around to organising my makeup!